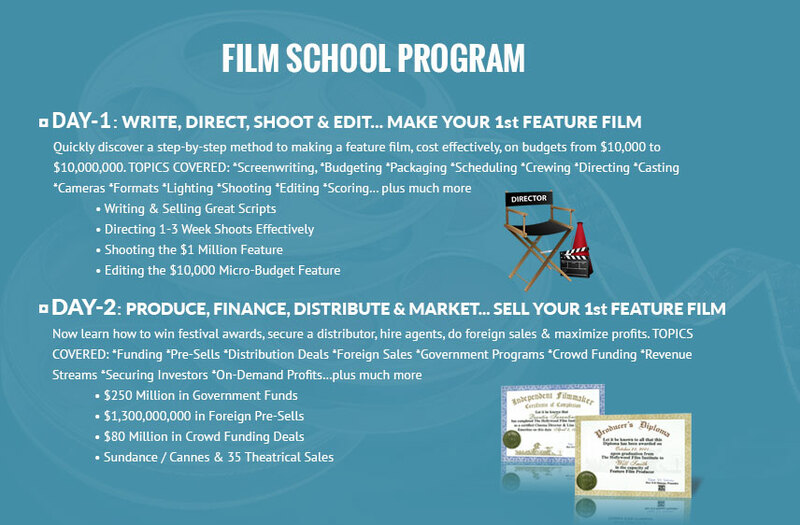 This is the course that changed film education and is credited with over $16 Billion in Box Office successes. Can’t attend. The DVD Film School is available in a monster box set. Workbooks included. Why Wait? Why wait? Take the 2-Day Film School from anywhere in the world. Workbooks included. Start right now!